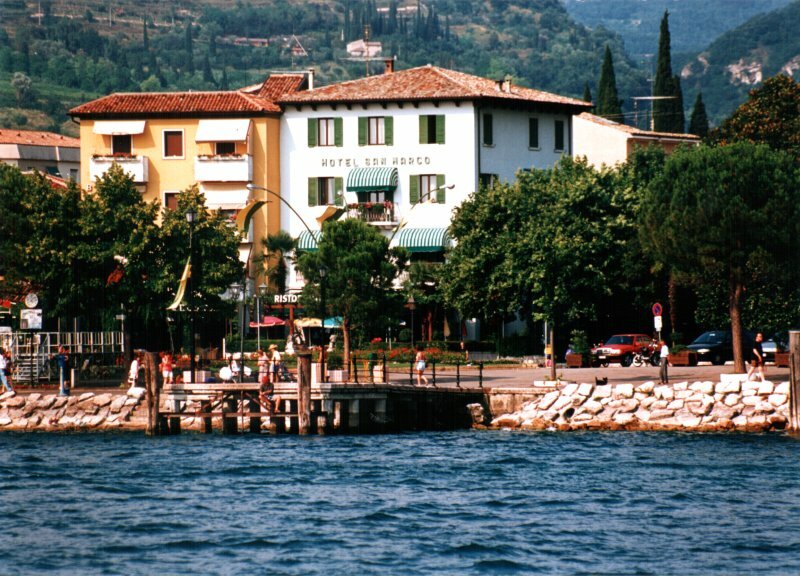 Hotel San Marco is situated on the shore of Lake Garda, in a quiet position with a wonderful panoramic view, only 50 meters from beaches and from Garda town centre. 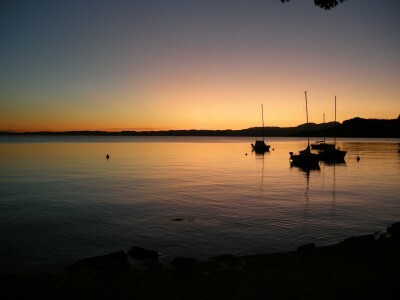 We offer you a very comfortable stay: 15 rooms with bathroom, TV-Sat, hairdryer, phone, safe, parking and internet-point. 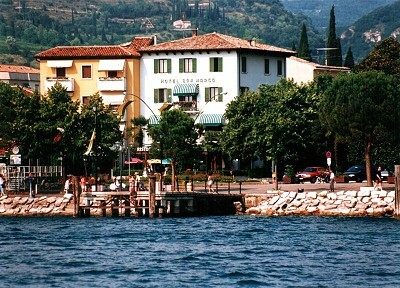 Hotel San Marco offers a terrace with a beautiful view of the lake. Restaurant San Marco offers excellent cuisine served in an attractive dining room with a permanent painting exhibition. You are welcome, nameless visitor, and we wish you a good stay.